HCS is delighted to announce the qualification of Marian Jones as a Prince2 Practioner. The success or failure of IT projects depends as much on good project management as the technical development. It is therefore crucial for an organisaton such as HCS to ensure that it's staff are equiped with the best methodologies to ensure that this is carried out. Marian attended the course over three days and graduated with top marks - we all look forward to enjoying her continued development as a Project Manager in the comming years. PRINCE2 is the world’s most widely-adopted project management method, used by people and organizations from wide-ranging industries and sectors. Built upon seven principles, It is a flexible method that guides you through the essentials for managing successful projects, regardless of type or scale. Continued business justification: there must also be a justifiable reason to be running and managing the project. If not, the project should be closed. Learn from experience: PRINCE2 project teams should continually seek and draw on lessons learned from previous work. Defined roles and responsibilities: the PRINCE2 project team should have a clear organizational structure and involve the right people in the right tasks. Manage by stages: PRINCE2 projects should be planned, monitored and controlled on a stage-by-stage basis. Manage by exception: people working within the project should be given the right amount of authority to effectively work within the environment. Focus on products: PRINCE2 projects focus on the product definition, delivery and quality requirements. Tailor to suit the project environment: PRINCE2 must be tailored to suit the project’s environment, size, complexity, importance, capability and risk. Every year many people die unnecessarily due to the lack of available blood for transfusions. Fortunately, people like Kevin Pagett, Project Manager at Haigh Consultancy Services, regularly donate helping to alleviate this problem. We are especially proud of Kevin as he has reached the notable milestone of 250 donations (update June 2018 - now over 350). Kevin first started donating whole blood but it was identified that he had a high platelet count and since then has donated platelets specifically. Most platelet donations are given to patients who are unable to make enough platelets in their bone marrow. For example, patients with leukaemia or other cancers may have too few platelets as the result of their disease or treatment. Also after major surgery or extensive injury, patients may need platelet transfusions to replace those lost through bleeding. To find out more abou this hugely imporant cause, pelase visit https://www.blood.co.uk or http://platelets.blood.co.uk. 29 July 2015 Congratulations to Dima and Anna!! We are all delighted to announce the wedding of lead developer, Dimitriy Chernenko (Dima) to his fiance, Anna on the 28th July 2015. Dima, a key member of the Nikolayev development team, was married to Anna in a delightful riverside celebration in Nikolayev. They then left immediately afterwards for a weeks Honeymoon on the island of Cyprus. 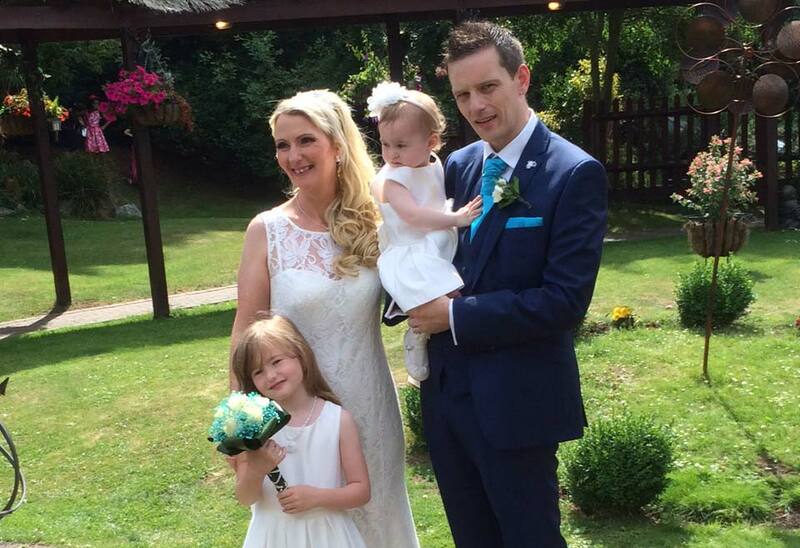 Everyone at HCS would like to send their congratulations to Mr & Mrs C Soanes who, on the 1st July 2015, finally tied the knot. Whilst working at Avis Budget Group, Chris was a valued contact and helped HCS maintain a strong relationship with the company. We wish both Chris and Wendy all the best, and are thrilled that their big day was such a success. On the 15th May, Question Time came to De Lisle College in Loughborough, and HCS Managing Director, Paul Haigh, was amongst the panel of experts. The event was organised by Leicestershire Cares, providing the opportunity for post 16 students to ask questions regarding employability to a panel of experts. Representatives came from the world of Media, Science Technology, Education and Medicine. A broad range of topics was covered such as what not to say during an interview followed by entertaining anecdotes of unsuccessful interviewees, how to build up an impressive CV, transferable skills for all job types and how to remain professional.